The ECC became a part of The Dayspring Ministry Group in March of 2003. It is felt that the Lord placed the ECC in the great DMG family so that persons wanting to belong to an historical Denomination / Fellowship can have a part in in the ministry of the DMG. The Fellowship goes by the title, Evangelical Christian Church Worldwide. Persons who wish to be a part of the ECC are requested to relinquish other ordination. If a person wishes to maintain their past fellowship alignment he/she will be recommended to the ECC for "Standing." Read about the rich history of the ECC and requirements for ordination. 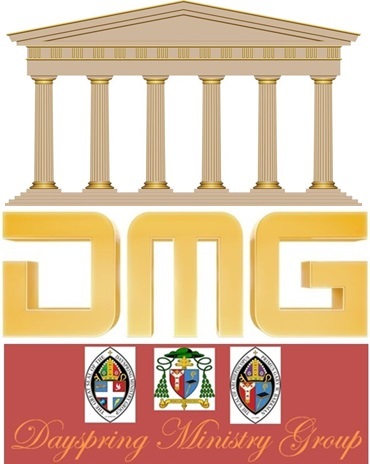 We then invite you to join a fast growing Fellowship which is part of a greater Ministry, DMG. 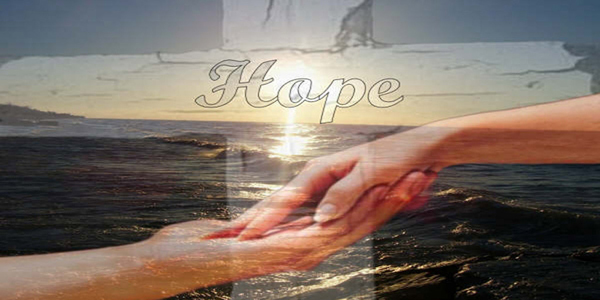 It is the mission of The Evangelical Christian Church(es) (ECC) to propagate the Gospel of Jesus Christ and restore New Testament Christianity. To see a current Constitution and Bylaws of the Dayspring Ministry Group... which is also for all of the groups that are a part of the DMG, please go to the page that says "Forms & Constitution 2018"
Our history began on the American frontier within the various "Christian" church and American Restoration movements and is rooted in the formal organization of the Christian Church, June 28, 1804, in Bourbon County, Kentucky. In Laura, Ohio, in 1854, an anti-slavery remnant of the Christian Disciples organized as The Evangelical Christian Church taking the message of Christ to the black community. A number of The Evangelical Christian Churches invited black ministers to preach in their pulpits. 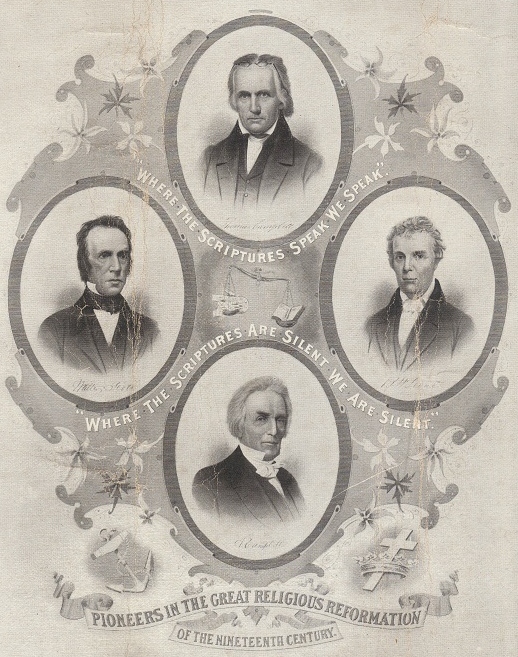 Many white ministers preached to mixed congregations. Ministers and members were strong supporters and workers in the Abolition Movement and participated in the Underground Railroad. These views reflected those of Stone. The early Christian Church was noncreedal and stressed basic beliefs that represent our Statement of Faith that is simple, Biblical Christianity. In addition to Stone, the early Christian Church also had its origins in the work of two other former Presbyterian ministers, Thomas and Alexander Campbell. From these men sprang the present day Independent Christian Church and Churches of Christ, the Christian Church (Disciples of Christ), the Churches of Christ (non-instrumental) , and the International Churches of Christ. Unfortunately most of the churches of the American Restoration Movement abandoned many of the teachings of Stone and became more and more Campbellite. The Evangelical Chrisitian Church remains true to the basic teachings of Stone. Several church bodies identifying with the Stone-Campbell movement today are very creedal and range from ultra-conservative to ultra-liberal as can be seen in the United Church of Christ which is an attempt to unite all Christian denominations into one national body as well as the National Association of Congregational Christian Churches which merged English Christians with American Christians in 1931. Another group, The Christian Congregation, claims direct lineage to the early Stone movement. In 1905, nearly all congregations of The Evangelical Christian Church, after great revival activity in Indiana and Ohio, assimilated into the Evangelical Christian Churches of America, Cleveland, Ohio; the Congregational Church, Boston, Massachusetts; and, The Christian Congregation, Kokomo, Indiana. The remainder were absorbed into the Disciples of Christ and various independent Christian churches of the American Restoration Movement. During the First World War, many Evangelical Christian Churches became independent and a formal organization ceased to exist until 1966 when churches calling themselves Evangelical Christian Churches, Christian Churches of North America, Christian Missionary Churches, Bible Evangelical Churches, Community Churches and Evangelical Congregational Churches were chartered and incorporated as members of the Evangelical Christian Churches, Farmland, Indiana. Throughout the ‘80’s and ‘90’s the Evangelical Christian Churches were beset by a number of separations. One group formed the California Conference of the Evangelical Christian Churches, Long Beach, California, now defunct. A number of Pennsylvania congregations eventually ceased to exist as they united with the Evangelical Christian Church, Wesleyan, a small holiness denomination formed in 1892, in Philadelphia, Pennsylvania. The Mid-West Congregational Fellowship, Modoc, Indiana, absorbed a few churches and another group became Trinity Fellowship, Williamsburg, Indiana. The majority continues as the Evangelical Christian Churches, Albany, Indiana. The theological history of the Evangelical Christian Churches traces its origin to the teaching and preaching of New England Congregationalist, Horace Bushnell, generally recognized as a theological liberal. A few former ministers of The Evangelical Christian Church, disagreeing strongly with the theology of Bushnell, and wanting to return to their Restoration roots, desired to reorganize The Evangelical Christian Church. On April 4, 2001, The Evangelical Christian Church was formally incorporated in Indiana. The Evangelical Christian Church today proclaims "In things essential, unity; in things nonessential, liberty; in all things, charity." Therefore, "Where the Scriptures speak, we speak; where the Scriptures are silent, we are silent," forms the core of our Faith. Frequency of the Lord's Supper and mode of Baptism are left to the discretion of the individual churches. Evangelical Christian Churches are basically congregationally governed, noncreedal and semi-autonomous. Each local pastor is under the auspices of his or her Regional Presiding Pastor / Superintendent. The Regional Pastor is under the auspices of the General Pastor & Bishop who reports directly to the Senior Presiding Pastor & Archbishop. 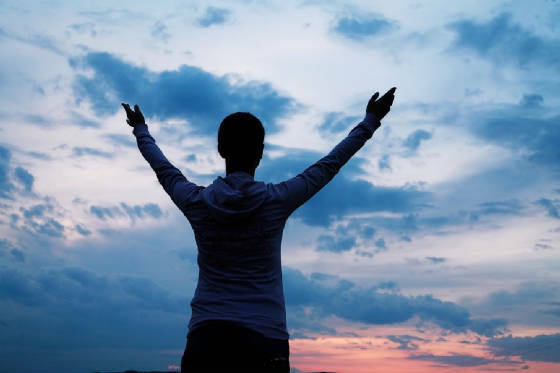 Each local congregation is free to structure worship as they choose. The only requirement for every local church is that the Statement of Faith be strictly adhered to and the local church opposes abortion on demand. While the Evangelical Christian Church opposes capital punishment and military intervention into foreign disputes, as well as advising against the use of alcohol and tobacco, we cannot force these issues with believers. Suffice that all Evangelical Christian Church members and pastors know our official policy. All credentialing is through the International Office. © COPYRIGHT 2003 ALL RIGHTS RESERVED THE EVANGELICAL CHIRSTIAN CHURCH INC.